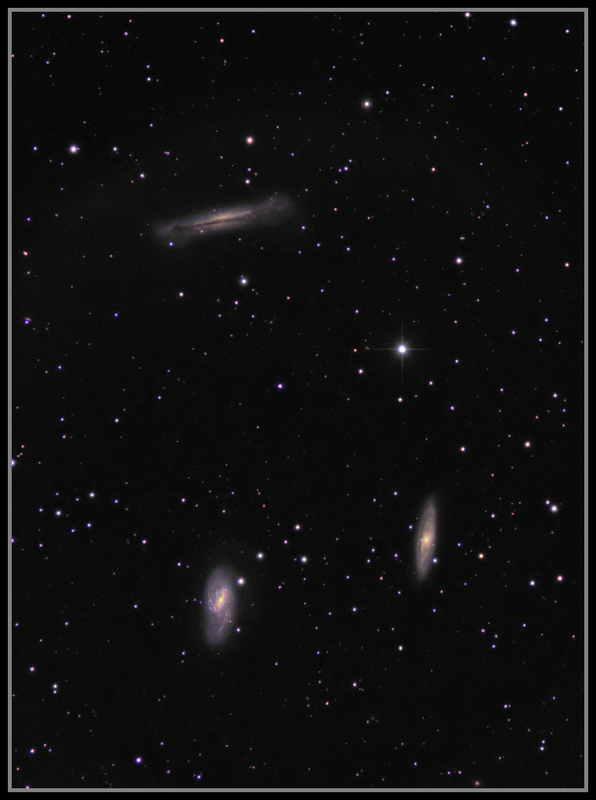 The Leo Triplet of Galaxies, M65, M66 & NGC 3628. This much photographed group of galaxies can be found in the constellation of Leo, and are at a distance of about 35 million light years from us. Telescope. William Optics ZS80FD with 0.63x focal reducer.